Every year, for reasons lost in antiquity, the Flaming Tar Barrels are carried through the streets of Ottery St Mary to the delight of thousands of townsfolk and visitors. Ottery St. Mary is internationally renowned for its Tar Barrels, an old custom said to have originated in the 17th century, and is held each year. Each of Ottery's central public houses sponsors a single barrel. In the weeks prior to the day of the event, November 5th, the barrels are soaked with tar. 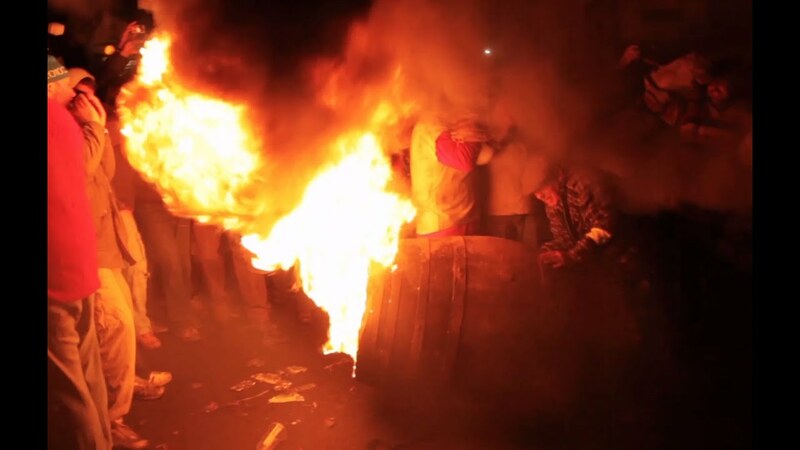 The barrels are lit outside each of the pubs in turn and once the flames begin to pour out, they are hoisted up onto local people's backs and shoulders. In the afternoon and early evening there are women's and boy's barrels, but as the evening progresses the barrels get larger and by midnight they weigh at least 30 kilos. A great sense of camaraderie exists between the 'Barrel Rollers', despite the fact that they tussle constantly for supremacy of the barrel. In most cases, generations of the same family carry the barrels and take great pride in doing so. It perpetuates Ottery St Mary's great sense of tradition, of time and of history.